Thinking about Getting a Nose Job Abroad? Think Again! While medical tourism may be on the rise, there are many valid reasons to be wary of going abroad for cosmetic procedures like a nose job! Going under the knife can make a person uneasy under the best of circumstances, but as some people that have been medical tourists will tell you, being a bit uneasy can escalate to a terrifying experience much more easily than one might think. When you make arrangements with a local plastic surgeon for a rhinoplasty, you at least have the advantage of seeing the facility your procedure will be performed in first hand, as well as an opportunity to meet the medical team. When going abroad, this is rarely if ever possible. Not only that, you have to factor in travel costs, oftentimes lodging away from the clinic your procedure will be performed and transportation to and from followups etc… All of this extra stress, not to mention cost, can often make a good looking deal not quite as terrific as it seems. What about liability? We never like to think that something could go terribly wrong, but it does happen. When you go abroad for medical procedures such as rhinoplasty, foreign nationals are rarely afforded treatment with liability coverage. That is, in large part, why the cost of treatment is so low – if they screw it up, you can’t sue them. Also consider the headache of travel – not just planning the trip, but actually making it. The trip out is not too bad, but then consider the return trip after you have had your nose job done. This alone can be problematic in many ways – especially with very long flights. Sufficient recovery time is key to a healthy nose. Rushing back home can cause complications, but staying for an extended period of time abroad can erase any savings realized by a lower priced procedure. One of the biggest potential problems is if you have complications with your rhinoplasty upon returning home. There is not only the issue of potentially hefty fees for visiting your local care provider or hospital, but often, they do not have easy access to your medical records regarding your procedure which can be problematic in treating your botched nose job. What if you could skip the whole issue, avoid medical tourism pitfalls and forget about dropping five digit numbers on a nose job? 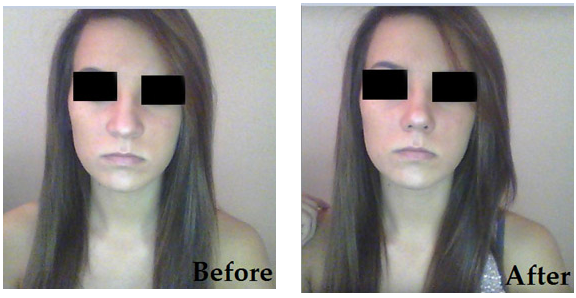 Nose Secret can help the shape of your nose look different without a nose job, making rhinoplasty unnecessary. Find out more about how Nose Secret works here. Previous PostHoliday Shipping SeasonNext PostNose Secret Hits Japan!